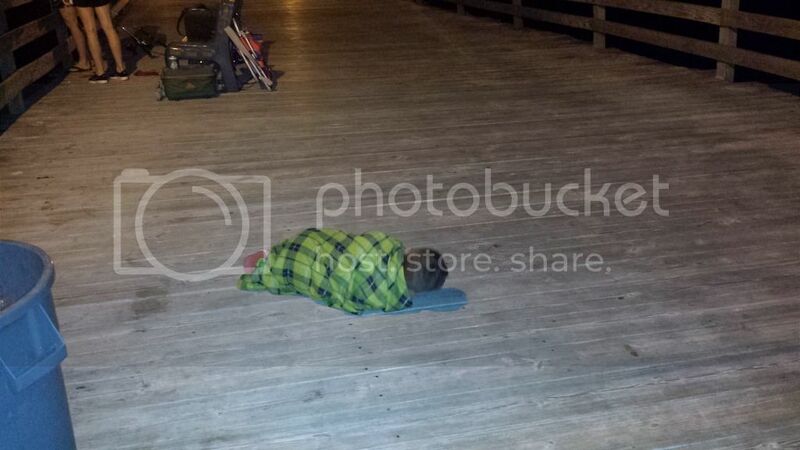 I was down at the beach for the weekend with the family, and had promised my older boys a trip to the pier. We had a blast out there last year with bite after bite for them, so they were excited to get back out there. The tide wasn't quite right though, so the bite was slow for the most part. 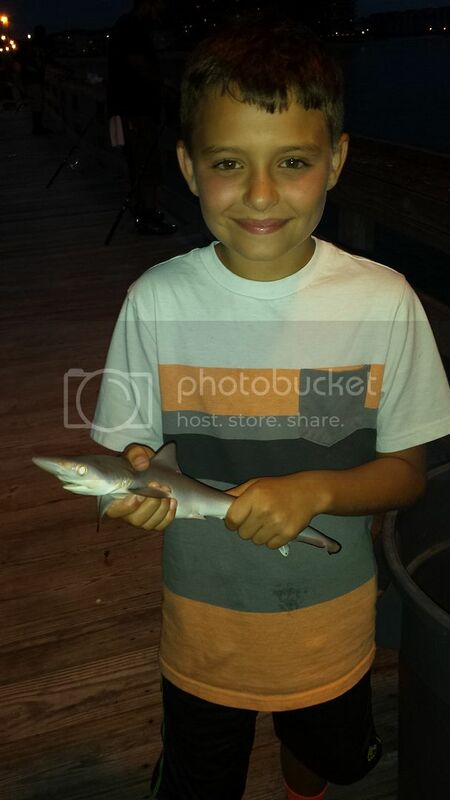 We fished from about 7 to 10pm, with the tide turning in as we were leaving, and the bite starting to pick up, but they were D-O-N-E, done, after a full day on the beach and in the pool. 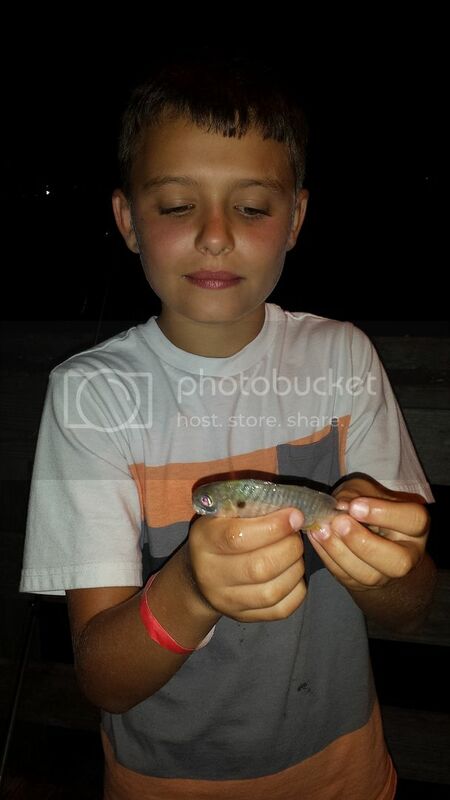 We caught a handful of small, non-keeper, spot and croaker and folks around us caught some cool fish too. 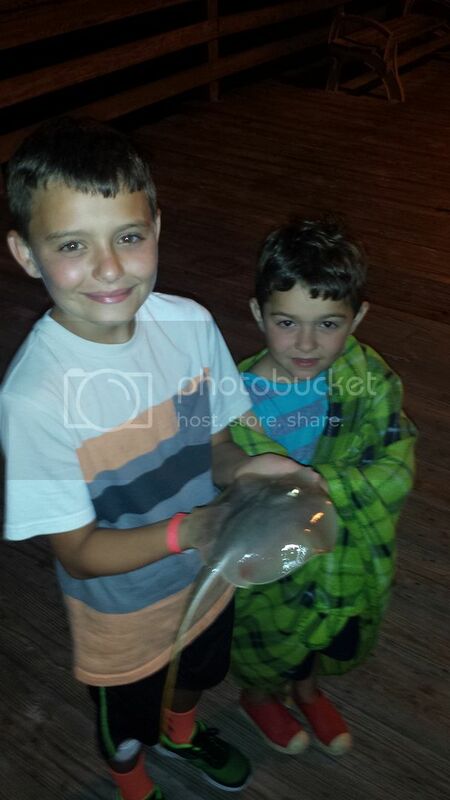 One small shark and a small sting-ray, which made for a cool learning and hands on experience for my boys. They also got in on the action in freeing a snagged seagull. Once again though, I was really disappointed to see the utter lack of concern and care for our fisheries and waterways by so many. The amount of trash (non-biodegradable stuff) left on the piers to blow-off and hurt wildlife is sickening. The #'s of illegal crab coming over the rails and into buckets was disheartening too. I really wish people would take better care of things and that the VADGIF/VMRC would make a pass from time to time to keep the pier anglers honest. At least I could use it as a teaching experience for my boys. All in all though - great times with my boys. A cool way to start 'Shark Week' A guy down the rail caught it, and was kind of leery about getting it off the hook, so we helped. 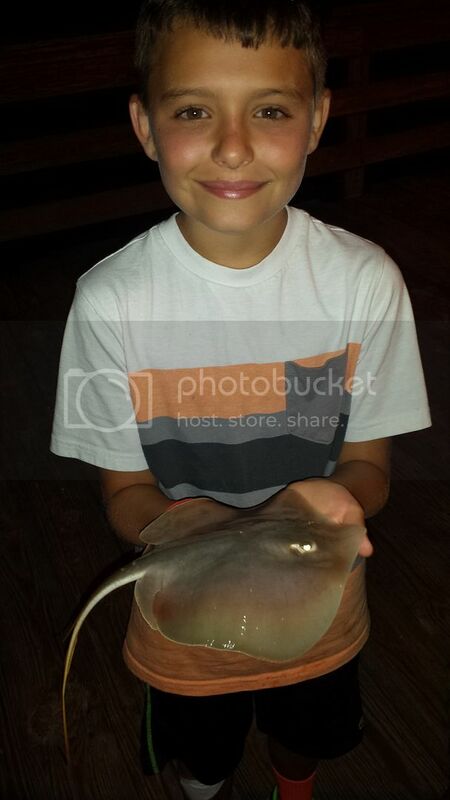 Baby Sting-Ray that another fellas little kid caught. He also needed help getting it off his hook. 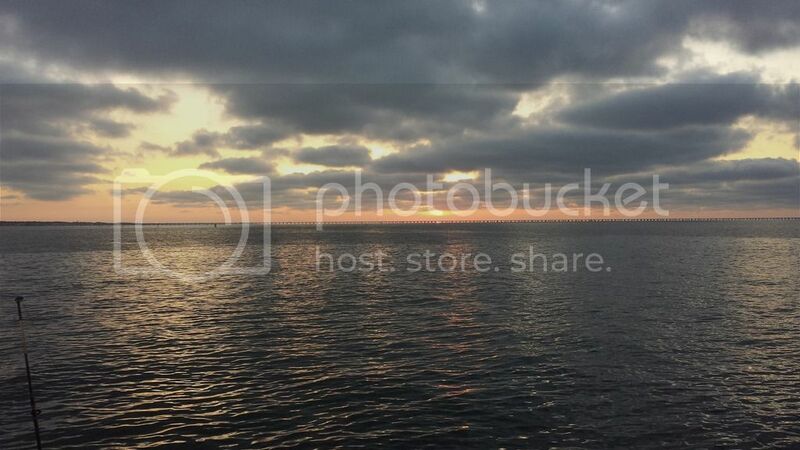 The pre-req 'Sunset Pic' to accompany a slow fishing outing. LOL - great report - looked like the boys had fun. I bet the shark and sting ray were cool for them to see. Good trip for the crew! Thats Awesome Erik, thanks for the pics! Sounds like a fun trip and nice pictures.